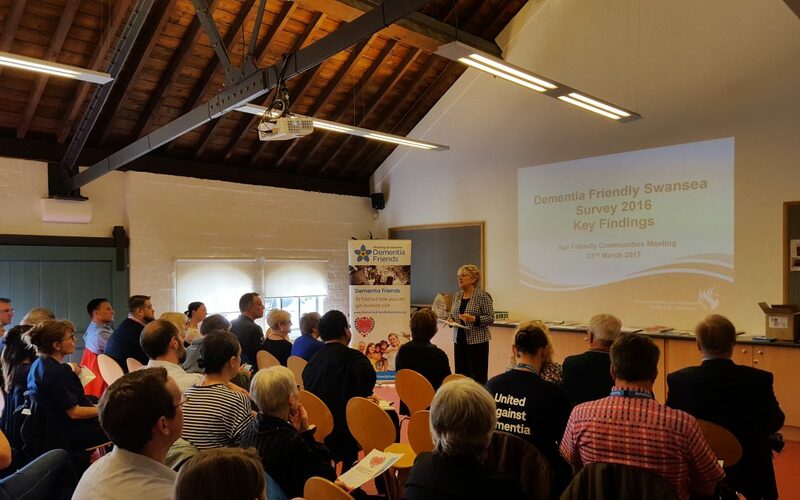 Today, the Dementia Friendly Swansea Forum held an Open Morning at the National Waterfront Museum in Swansea Marina to mark Dementia Awareness week in the UK. 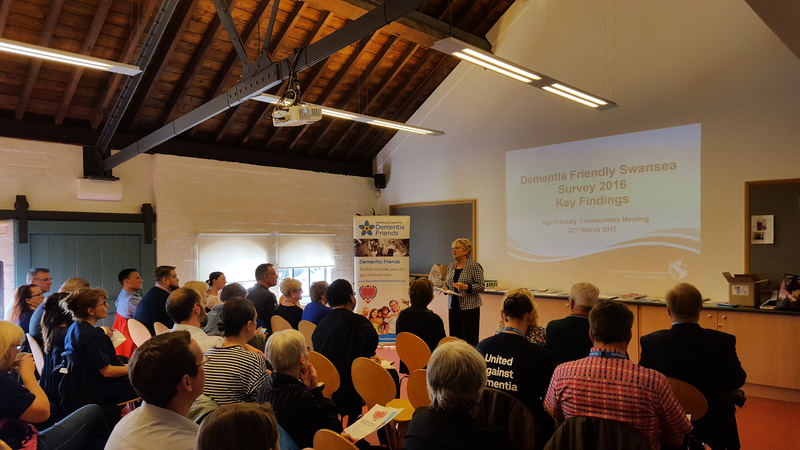 The event’s aim was to provide information on local services for people living with dementia and their carers and also a be a platform where their voices would be heard. 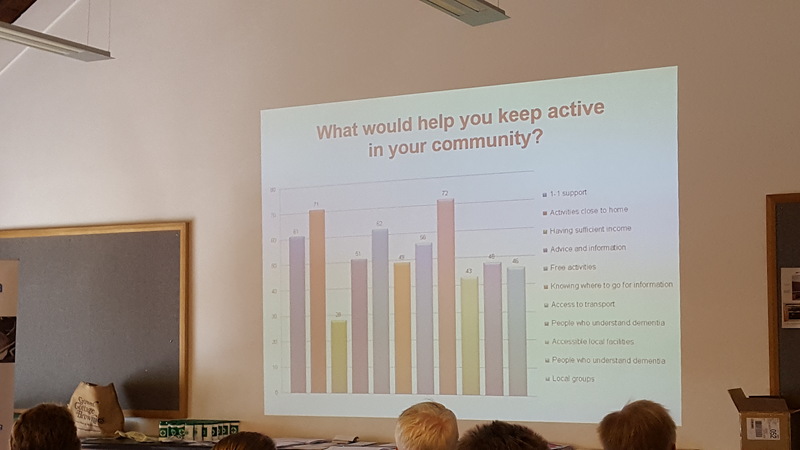 Fiona Hughes from City and County of Swansea presented findings from the recent Dementia Friendly Communities Questionnaire, which sparked plenty of lively discussion! The good news is, there are lots of projects going on in Swansea for those living with dementia, but there is still a long way to go. 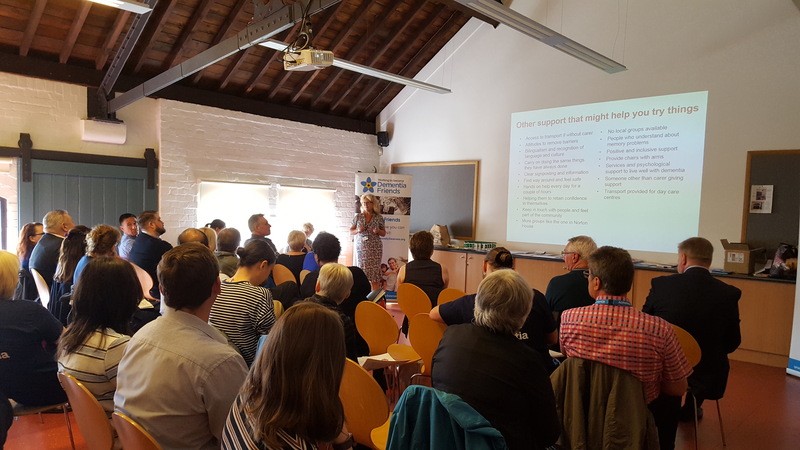 Members of the Forum in attendance today included volunteers, carers, U3A, DEEP, Age Cymru Swansea Bay, Alzheimer’s Society, staff from ABMU, Family Housing, City and County of Swansea, Swansea Museum, YMCA, Tesco, Welsh Ambulance Services (apologies if I have missed anyone!) who all gave up their time to help make Swansea a better place to live for those living with dementia. A big thank you to everyone who came along and also a special mention for the Waterfront Museum, who have been very supportive of the Forum. What would help keep you active in your community? The morning finished off with a Dementia Friends session run by Marcia Vale, Dementia Friendly Communities Coordinator for the Alzheimer’s Society, where seven people became proud owners of a Dementia Friend badge! If you would like to become one, visit Dementia Friends to find a session near you. If you would like to come along to the next meeting, or just want to keep up to date with what the members of the Dementia Friendly Swansea Forum are up to, please drop an email to secretary.swansea@dementiasupportivecommunity.org.uk to be added to the mailing list.